I have added a new item to my Etsy shop. 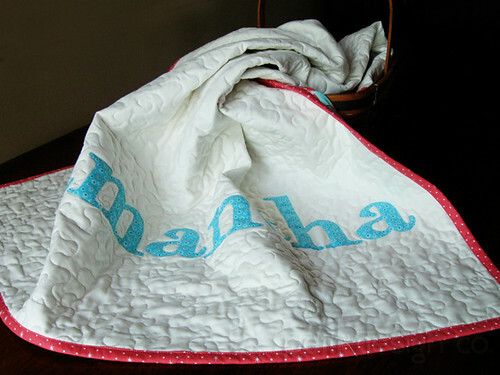 These fabulous personalized baby/toddler quilts are a perfect gift for a special baby boy or girl. 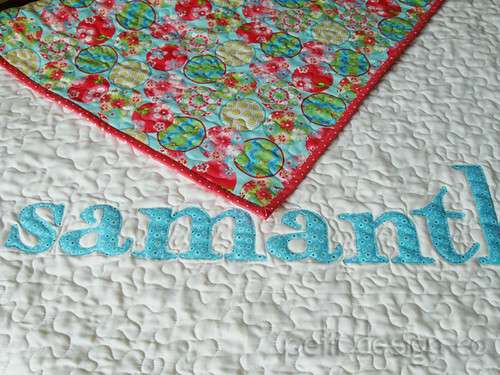 It is a simple design in which the name of the child becomes the focal point of the quilt. I’m going to have lots of fun picking out coordinating colors for the binding and the name. I love this backing print and have been hoarding it for quite some time. I believe it’s by Timeless Treasures and has a very lovely Asian feel. 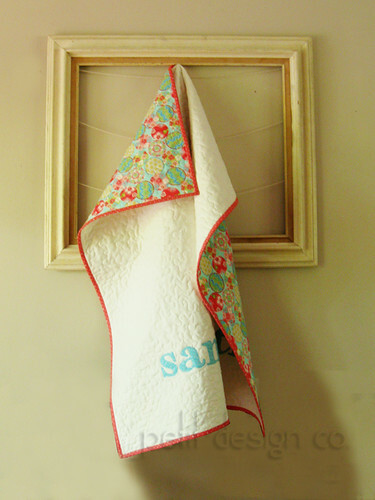 You can purchase your own personalized baby quilt HERE. PS. 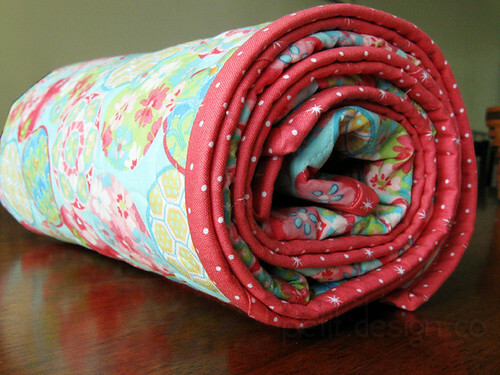 Don't forget to visit the Quilty Giveaways Page to see the wonderful giveaways going on in blogland.